A pleasing dap that at a generous asking price of US$200 delivers a wide range of options within its UI, plus Bluetooth and line out to boot, an expandable memory of 512GB via Micro SD slot, light weight and a beautiful screen. 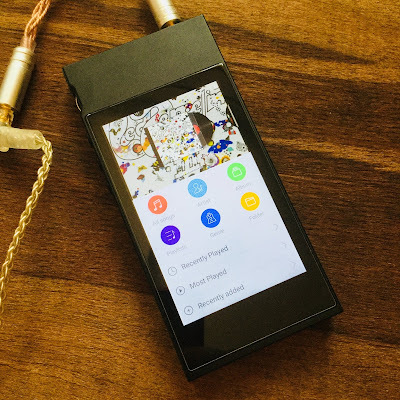 The FiiO M7 is a pure player minus many of the bells and whistles that the audio community has come to expect. It is suitable for the budding audiophile, sporty type or person on the go. 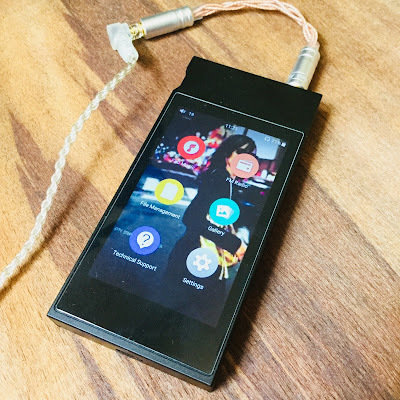 The FiiO M7 has a natural, smooth delicate sound that is fairly balanced, approaches neutrality with a wee touch of warm depth at its nether reaches. It has enough clarity, transparency, speed, resolution to satisfy even the serious audiophile. Micro SD card slot, up to 512GB. More than enough. Nice rotary volume wheel, physical buttons. US199 on Amazon USA store. I am running the latest Firmware 1.03 as I finish up this review. 11. Miscellaneous improvements and bug fixes. 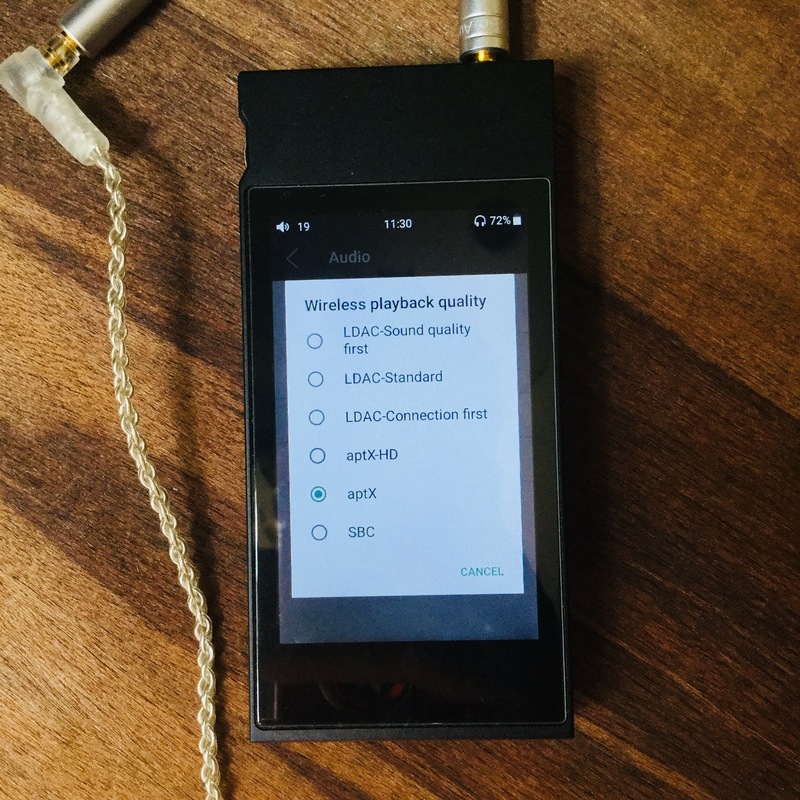 FiiO Music, FM radio, File management, Gallery, Technical support (Firmware update info, FAQs, quick start guide), Settings. FiiO Player interface, basically the same as the FiiO X7ii. Swipe to the left side for tracks easy access. Available Bluetooth options. variety a must for many these days. Full, energetic, yet additionally fairly, delicate and even in its presentation. Gentle, smooth and soft with a slight warmth at the furtherest low end, but also clear and fast. Fun and musical with the right earphones, neutral and transparent with more reference earphones. Not overly analytical, although it does has enough detail, clarity and separation to please. These all may seem like opposing forces to some, but think of it more as inclusive and able to contain and include these within one form. The ideal is to find a sense of neutralness and transparency and the M7 comes very close to that. Thus allowing the earphones used to demonstrate their tuning. Whilst the resolution, separation and layering is more than decent, it of course is not as high performing as higher priced daps, that is to be expected. It does not detract however from the quality of the M7 music playback ability and it place in the FiiO universe of daps and dacs.. 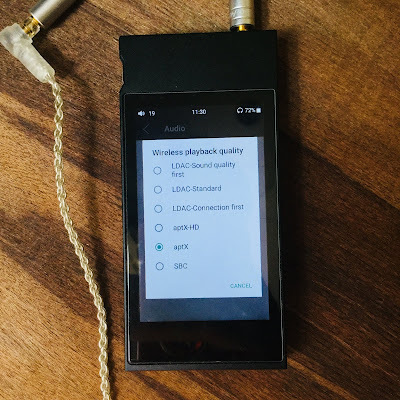 It does well, stripped down of some functions other daps in the FiiO line up have such as wifi and swappable Amp modules etc means the low price does not automatically place this dap strictly in its price point. The omitted extras means you get a bit more, for less...If you are looking for a pure player minus all the extra bells and whistles. 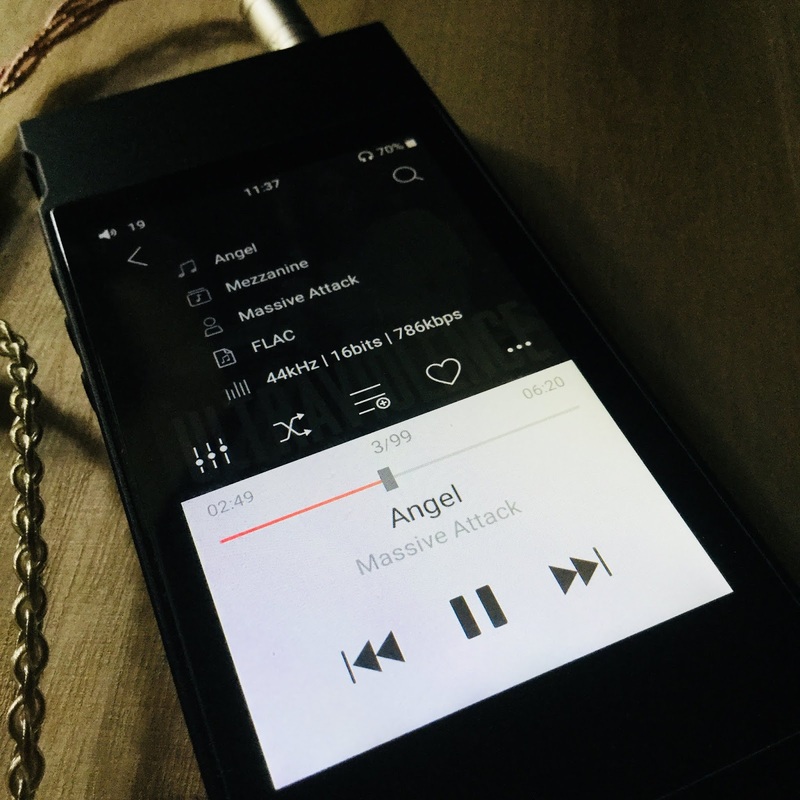 The FiiO M7 has a natural sound, fairly neutral with a clear transparency and a solid black background. The FiiO M7 is an easy to use, light weight entry level Dap that should prove pleasing to many a budding audiophile. 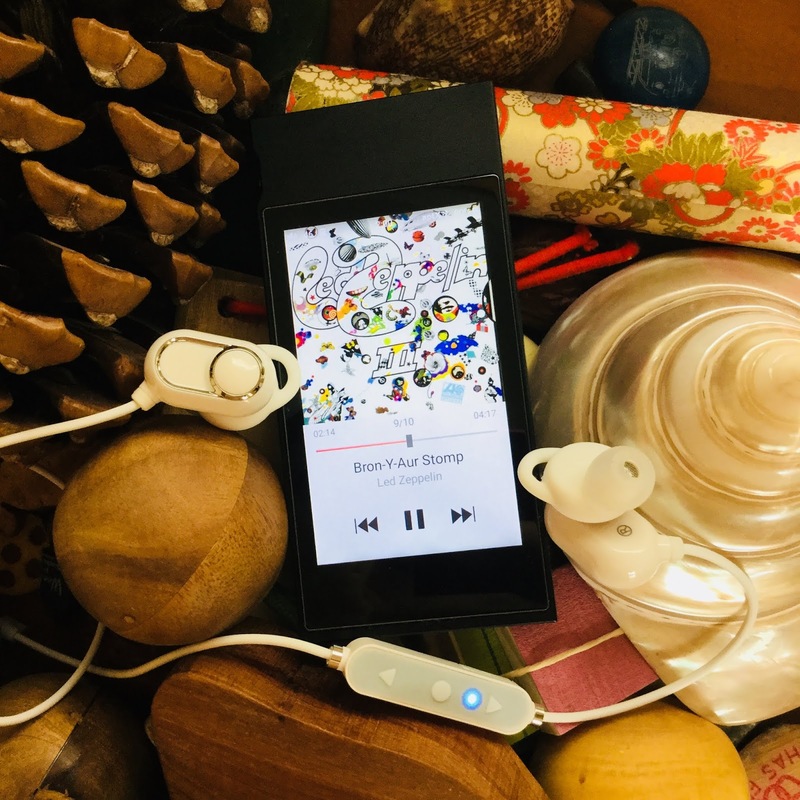 From its responsive touchscreen and its physical buttons is makes it a winning purchase for the person on the go, sports person, gym goer or budding audiophile. Able to handle a wide variety of codecs, has Bluetooth, USB out to be used as a source, decent battery life, expandable storage via Micro SD cards to 512GB and a decent dac chip the M7 is a no brainer for many of the above mentioned potential users. No wifi so that means no streaming Tidal, Spotify, Spot the dog for all you screamers. Its a pure player. That also means you have to do a hands on computer to SD card for any firmware updates. The volume pot has 60 steps so it is very easy to find the perfect volume setting, the wheel is smooth in its usage and the little clicks than resonate to ones fingertips are pleasing. I had no problems using it with my Campfire Audio Andromedas, the M7 has a very black background. 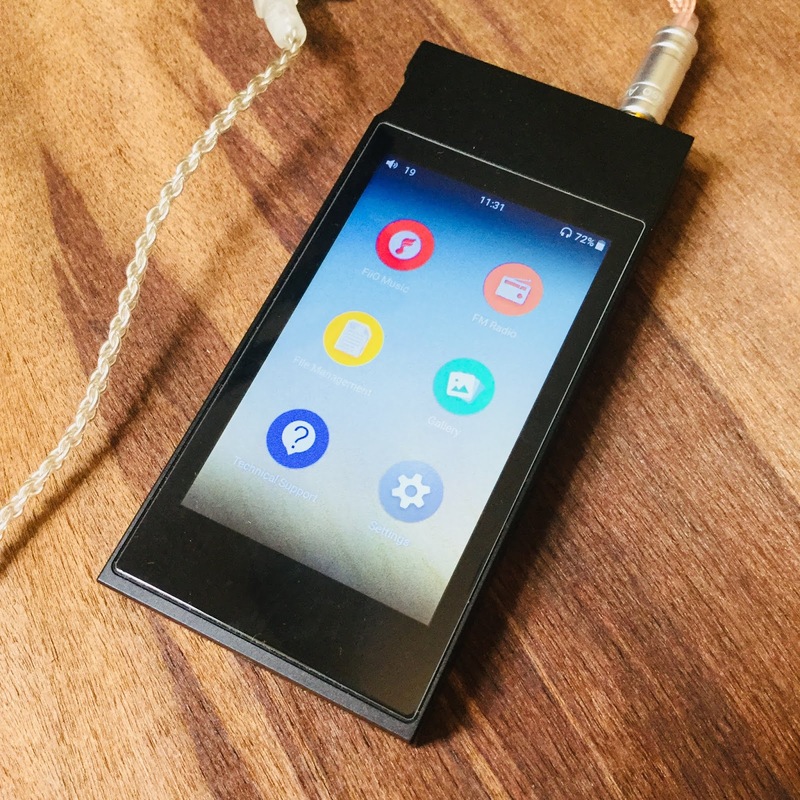 As a couple of other companies have recently released daps that are half the size of the FiiO M7 some may be forgiven for thinking FiiO missed the boat on this one. But for many the size of the M7 is very human and more what they desire than a tiny dap. Each to their own. Perhaps FiiO has something new up their sleeve....? I am running the latest Firmware 1.03 as I finish up this review. See a few sections above (Firmware updates) as such features such as replay gain have been added. The FiiO M7, with its many UI options, Bluetooth, light weight is a pure music player with a natural, smooth and lovely balanced response with enough neutrality, transparency and resolution to please. A brave new world dap, thats also Kickin it old school. With the FiiO FB1 Bluetooth earphones and the FiiO BTR BT amp.